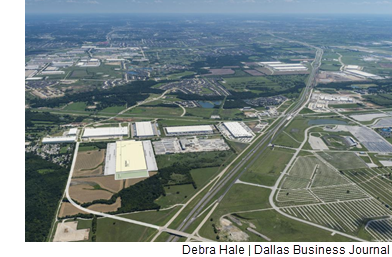 ​​​​ NORTHLAKE – A new 1.2 million-sf shipping hub for tool manufacturer Stanley Black & Decker is bringing more than 300 jobs north of Fort Worth. The regional distribution center will be in Hillwood Properties​ Alliance Northport business park at the intersection of I-35W and SH 114. It will open next month. ​See a​lso: Dallas-Fort Worth-Arlington Industrial Market Research.